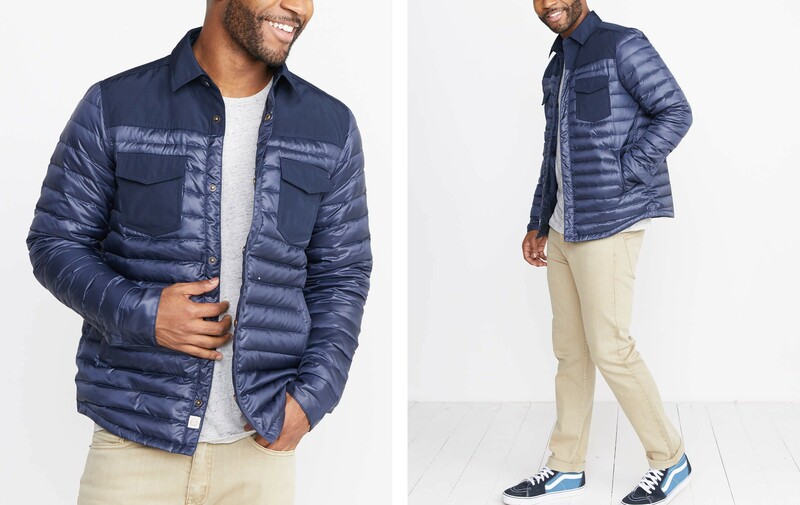 There’s so much to be excited about with this jacket, we don’t even know where to get started. Vintage-inspired shoulder piecing. Matte and shiny tonal contrast. Front pockets. Durable and tear-resistant, but easily packs up small so you can toss it in your backpack. Oh hey, new fabric. 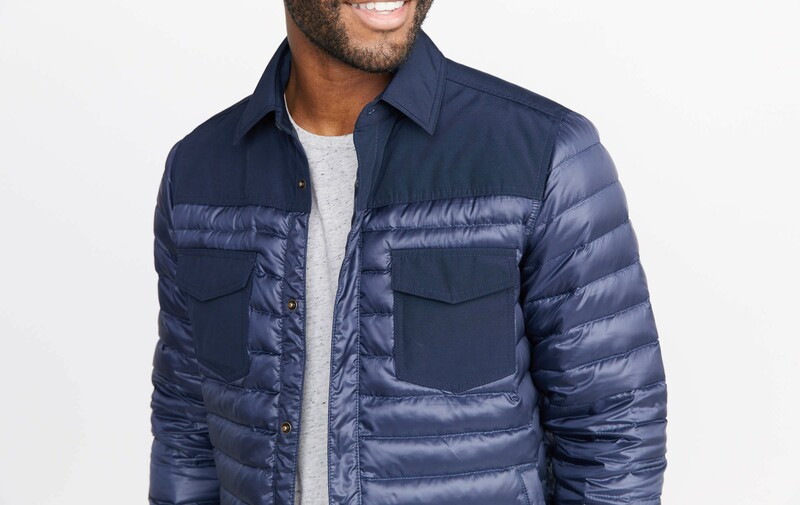 The puffy side is 100% polyester woven in a cross-hatch pattern that makes it tear-resistant, and the shoulder piecing is a poly-cotton-canvas blend which adds weight and durability. Added bonus: it packs down really small for easy transport. Colin is 6'1", wears a Medium, and in case you were jealous about how nice he looks in our tees....just know he puts them on in a really weird way. Sorry Colin, you know it's true.